Kimberly Keiko Cameron, or Skim, is a mixed-race high school student with a recently-broken arm and a passion for all things Wicca. She is having a tough time coping with her parents’ divorce, fitting in at school, and figuring out her sexuality. She is also growing apart from her best friend, Lisa, in her quest to define herself. Several changes at her all-girls school are also throwing Skim’s life into turmoil, from the suicide of her classmate’s ex-boyfriend, which has inspired the popular girls to create the over-the-top Girls Celebrate Life club, to the introduction of a new teacher, the spacey Ms. Archer, on whom Skim develops a crush. To cope, Skim keeps a diary in which she records both actual events and her daydreams and musings. 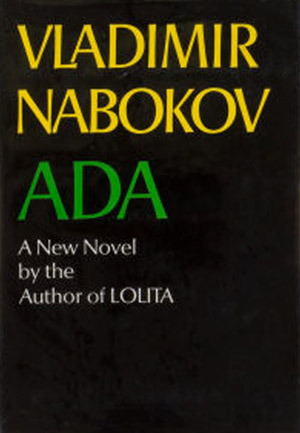 This diary, in effect, constitutes the book Skim, resulting in a spare, impressionistic narrative that mixes fact with fancy, and leaves many things unsaid. Despite the gaps and ambiguities within the text, Skim feels like a real teenager. No matter the situation, her perspective shines through: though often insecure, isolated, and depressed, Skim is still a keen observer of the world around her. She sees through the popular girls who, under the guise of “celebrating life,” are actually alienating their classmates and celebrating themselves. She also recognizes that they are doing more harm than good for the girl most affected by the tragedy, the boy’s ex-girlfriend, Katie. In fact, it is by developing a relationship with Katie, that Skim begins to embrace who she really is: she learns that she is more than the role of the outsider that she played with Lisa, and more than the goth girl, or the half-Asian girl, or the girl with the cast on her arm. Although she is still uncertain about many things, Skim learns that she can be appreciated for who she is—and that she can appreciate herself as well. While I at first found Skim too spare and too muted to leave any lasting impression, a quick rereading revealed plenty of perfect details I had missed the first time around. 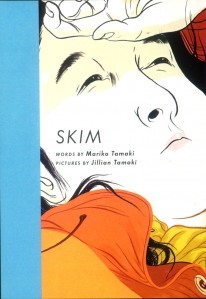 Skim is a subtle but thoughtful book, beautifully illustrated and sensitively written. It is also surprisingly funny, sad, and touching—sometimes all at once. Parts of the book do linger, but as a whisper, a feeling. It is not a book that dazzles with big ideas, but rather with understated impressions.